What is the White Paper suggesting we do to make sure we have affordable rents? Rents that are too high to afford can evict families to poorer houses or garages, uproot adults and children and even play havoc on family life. But we equally cannot afford to have rents that are so low, as to deprive landlords of the fair profits they need to keep providing houses for rent. But can we afford rents that are unfairly high – that is, ones that give more profit than is fair, at the expense of tenants, driving them out when no adequate alternative housing is available? Only once enough affordable housing is available, and the wealth needed to afford it is shared, can the market be allowed to go its way without close management. The White Paper rightly wants no old-style, ‘pre-39’ type rigid rent controls, but just as strongly wants managed markets. But what market management does the White Paper propose to avoid rigid controls yet ensure fair and affordable rents? Setting reasonable rent limits, like the German government does, is tricky because it needs to be transparently based on the facts, and facts are different for different parts of Malta and for different types of houses, and nobody now really has those facts, and those available, unfortunately, still await publication. Commenting on the 2017 budget, Prime Minister Joseph Muscat very wisely had called this situation “uncharted territory”. He added that it would be unwise to rush into rent controls when we know so little of the market. He then considered the idea of a seven-year market testing period, presumably so that, as we steer the market, we know where we’re going, we can look before we leap. But Muscat was equally wise when he decided in 2018 that we cannot wait seven years. All would agree that further delays in policymaking would make the present rent crisis worse. As a first method of market management, the White Paper targets the illegal practice of undeclared rents by requiring lease contracts that are registered. This lessens much common abuse and insecurity, while helping in making the facts of the market known. How can abusive hikes be avoided with no clear map of where we are and where we are heading? But when it comes to making sure that rents do not become excessive, we are in for a surprise: landlords can charge any rent they see fit at the start of any lease. The only suggested limit on excessive hikes is in the rate of rent increase. This would not be allowed to exceed the average increases happening in the market. Meanwhile, leading promoters of the reforms are suggesting that a five-year contract would be a good minimum contract duration to give tenants peace of mind and stability. But after such a period – not really long enough for family peace of mind and stability – the sky is the limit again, and there is no stop on any further rent hikes whatsoever. 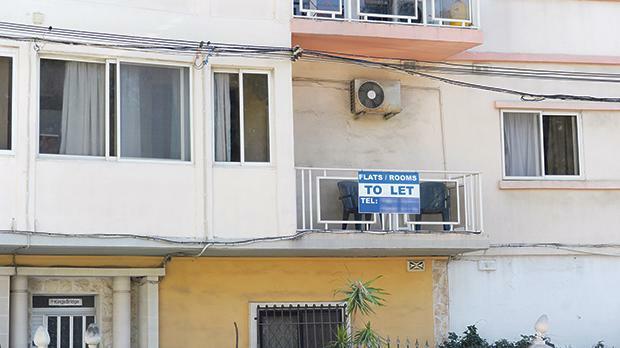 Can we really afford to suddenly pull the plug out of affordable rents for Maltese families, including the 10,000 or so households protected by the ‘pre-39’ or ‘pre-95’ rules or the many others who are not so protected? Or should we check first whether there are adequate affordable alternatives, and whether or not demanded profits are fair? Yes, we really are in uncharted territory, as our Prime Minister has said. The White Paper suggests that giving landlords complete freedom in setting initial rents is a way they can ensure enough profit to keep renting. But it does next to nothing to steer away from the opposite danger of rent hikes that drive tenants out. Yes, we do need to test the market in order to set good policy guidelines. Before this happens, we are jumping the gun and flying blind, sleepwalking without knowing where. How can abusive hikes be avoided with no clear map of where we are and where we are heading? Seven years of such testing would do the trick – except that things can get out of hand, and hikes beyond any affordability can, in the meantime, become the order of the day, so fast as to deprive droves of tenants of the housing they need. Yes, the horse deserves to have his stable door opened, so that he can enjoy the freedom of the paddock. But seven years or seven hours of leaving the horse completely unattended and the paddock gate open can result in the horse escaping. Getting him back would require massive effort using draconian and coercive powers, and even that might be too late! The recent paper by the Faculty for Social Well-being suggests that, short of imposed controls, the only way is through self-regulation by landlords, absolute transparency and publishing of the data, assiduous monitoring by an independent authority with resources and clout, and trust, goodwill and cooperation all round. This paper, entitled ‘Dealing with the Rental Market’ and available online, gives important food for thought. It deserves much more attention from the public and the press than it has got to date. Reflecting on it, one can observe how important it is for housing businesses to exercise restraint and not abuse of the opportunity given to achieve fair profits. The Maltese public looks to politicians and tenants, to businesses and to MDA, being such a big compact of linked businesses, to each be a force for good. This involves using all their resources to ensure market restraint, and to insist on a level playing field, impartial published research, monitoring and transparency, in order to safeguard the affordability and stability that our households and families direly need. Dr Charles Pace is a social policy specialist.